The only news brand on YouTube to join the exclusive club crossing the 10 million subscriber mark. 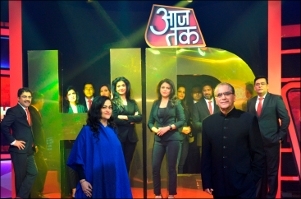 India's No.1 news channel Aaj Tak creates history yet again! 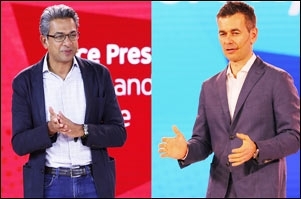 The prestigious 'Diamond Play Button' bestowed by YouTube, recognises Aaj Tak as the global no.1, the first and the only news channel in the world to have crossed the 10 Million Subscriber mark. The Award was presented by YouTube to the India Today Group last week. This milestone achievement on YouTube by an Indian channel, puts India right on top of the global news media map. The 'Diamond Play Button' is the top honor awarded by YouTube, next only to the Ruby Button at the 50 Million mark. Ms Kalli Purie, Vice-Chairperson, India Today Group on accepting the recognition for the milestone said, "I am so proud that AajTak has won the YouTube Diamond Button, the only news channel in the world to have earned this award. The diamond button is not an overnight success, this is something AajTak has worked very hard towards. We first got the silver button, then the gold button and then finally we got the diamond button at 10 million subscribers. The journey doesn't stop here, we are ambitious and we are moving ahead, trying and working towards now the YouTube Ruby Button that comes in at 50 million subscribers. And I am sure with the support of our viewers, we will get there too, and we will get there 'Sabse Tez'." Susan Wojcicki, CEO, YouTube in her letter lauding the Aaj Tak YouTube channel for this accomplishment said, "We hope you will accept this Diamond Creator Award as a token of our appreciation and respect for what you have accomplished." In the letter Susan Wojcicki expressed her amazement at the magnitude of this achievement. She wrote "The 10 Million Mark? At this point we are actually scratching our heads. How on earth did you do that? 10 million subscribers is not just a lot of people. It is more than the entire population of New York City!" An unmatched record of 18 straight years at the numero uno position, helps Aaj Tak beat all its global rivals like BBC News, CNN, ABC News etc. As on 17th January 2019, Aaj Tak has 13.07 million subscribers.